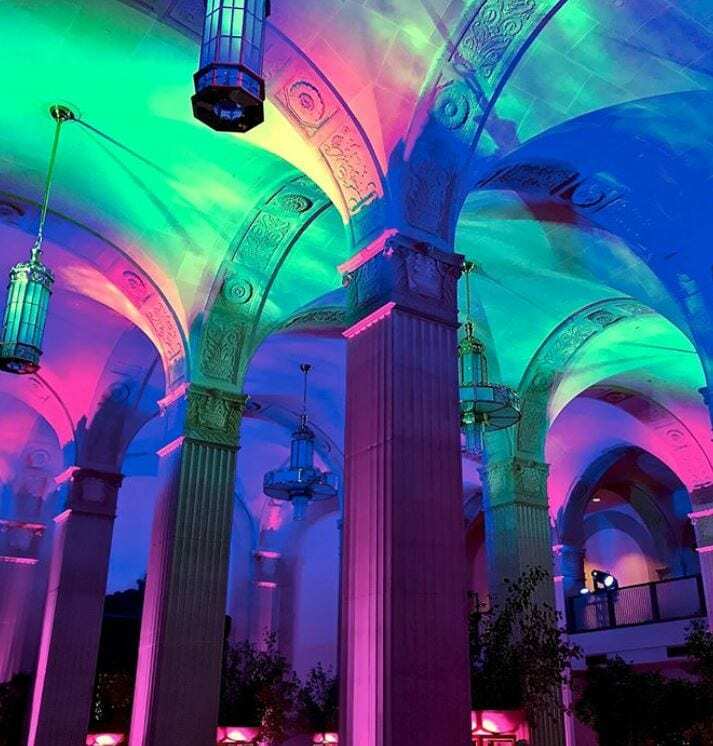 A festival oasis, inspired by the Aurora Borealis skies. 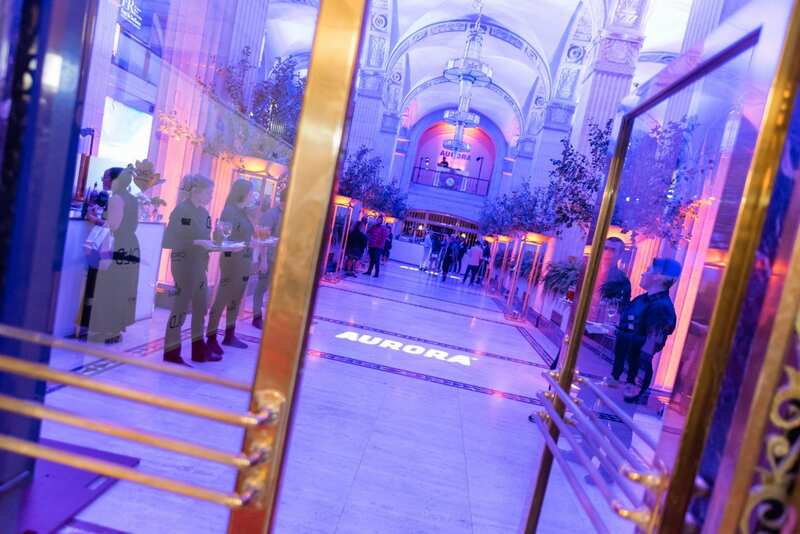 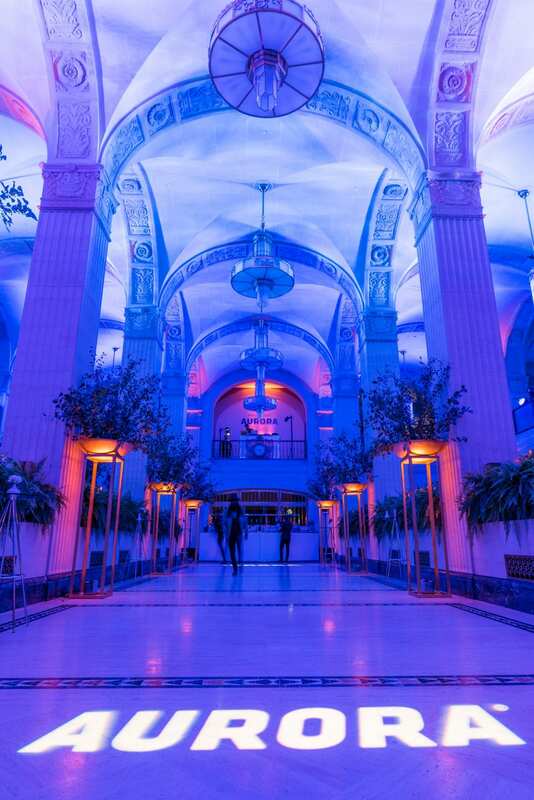 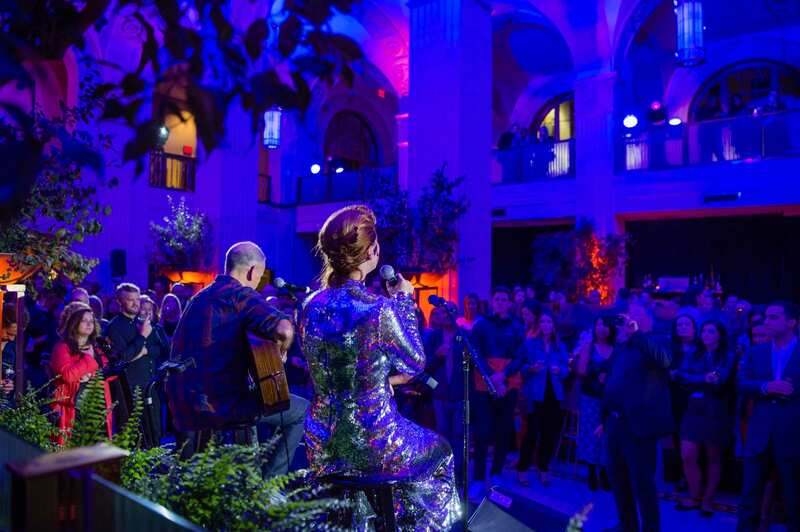 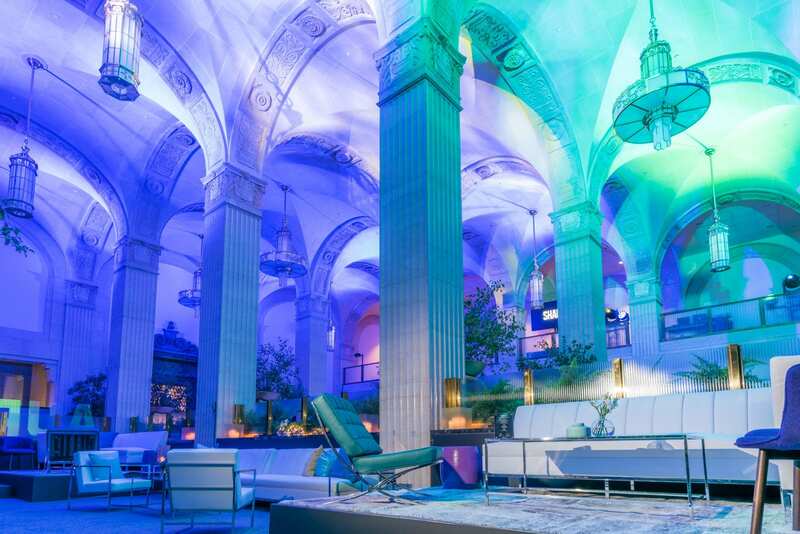 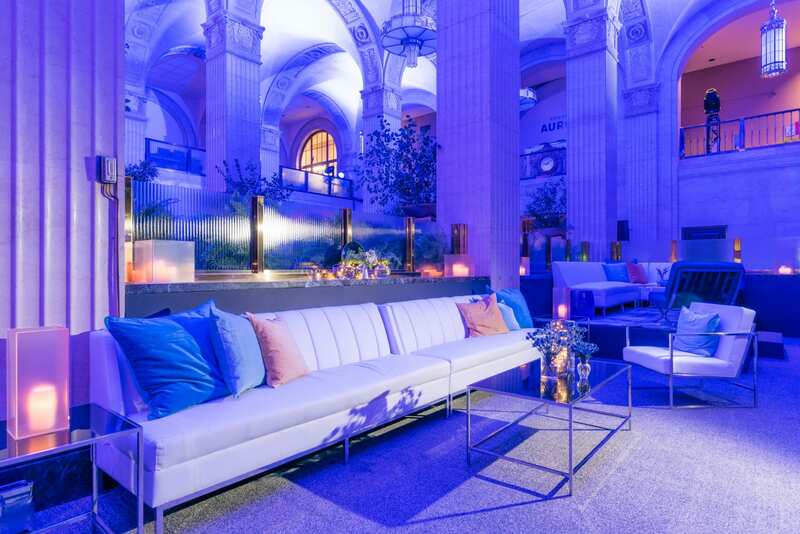 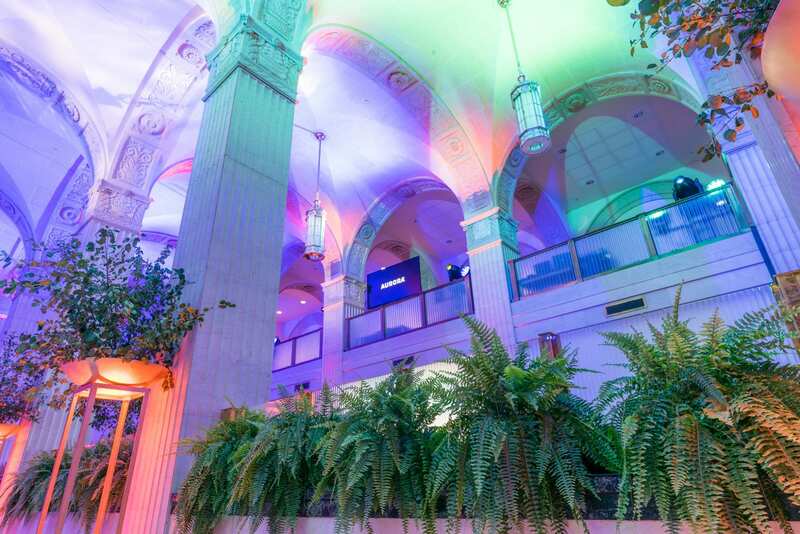 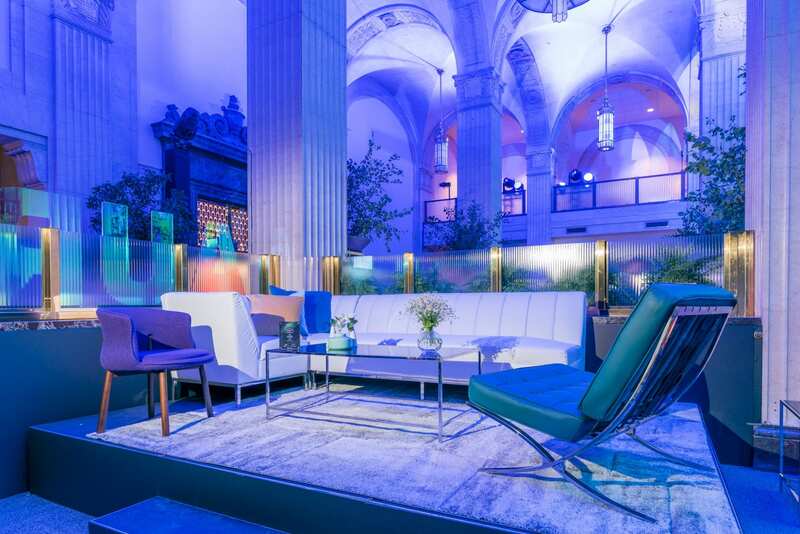 Working in partnership with Substance Group and A-List Communications from LA, MASSIVart was secured to facilitate the venue and experience design for a 3-day TIFF 2018 x Aurora pop up activation at an abandoned bank hall in downtown Toronto. 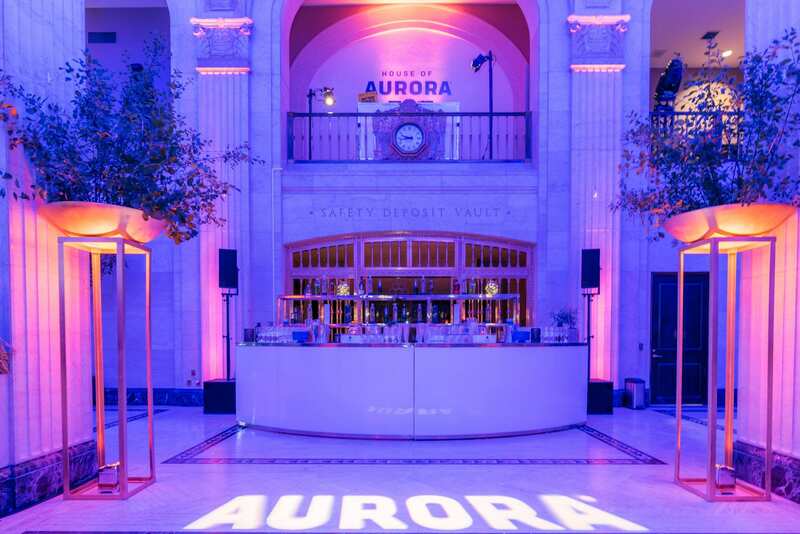 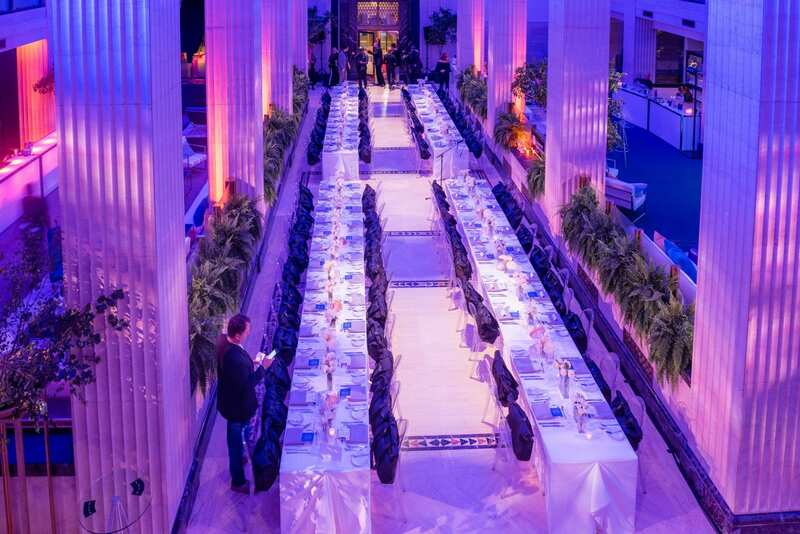 To enhance the gigantic space with sprawling 30-foot ceilings, MASSIVart executed Aurora Borealis themed lighting and projection mapping high above, as well as, facilitated all furniture and accessory decor. 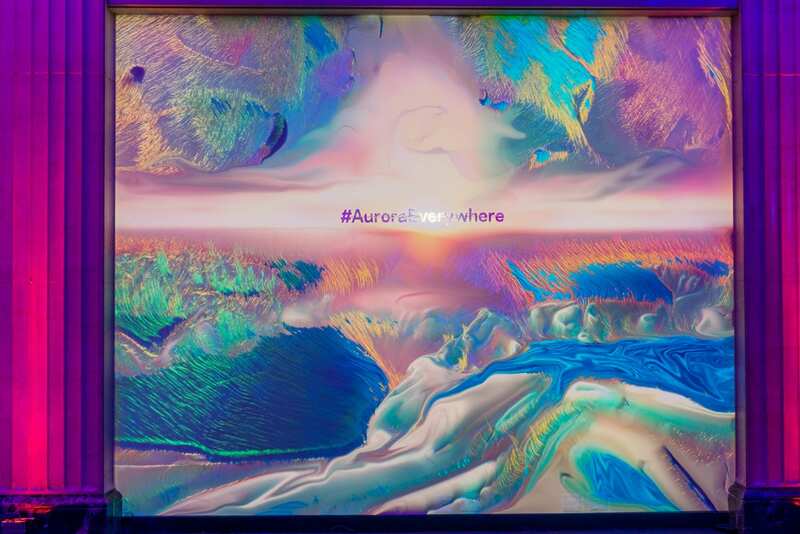 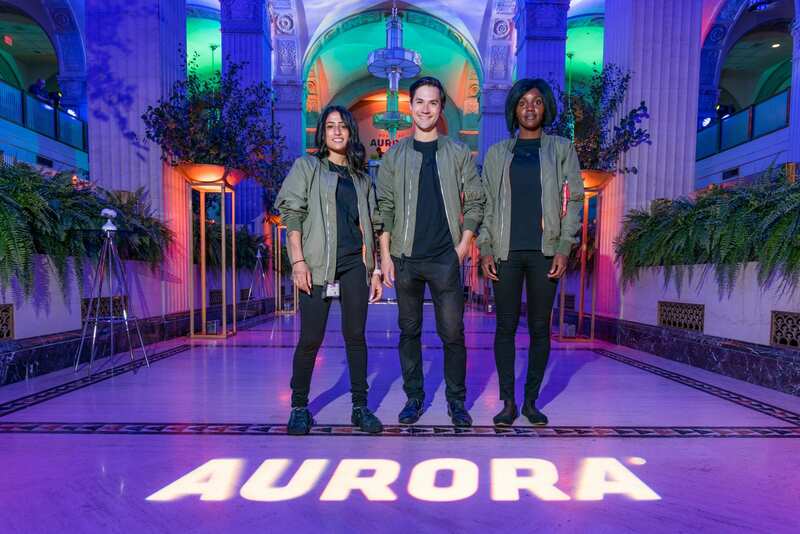 We worked with renowned digital artist Sabrina Ratte from Paris on a highlight #AuroraEverywhere photo-opp wall that mesmerized guests with an entrancing art installation onsite. 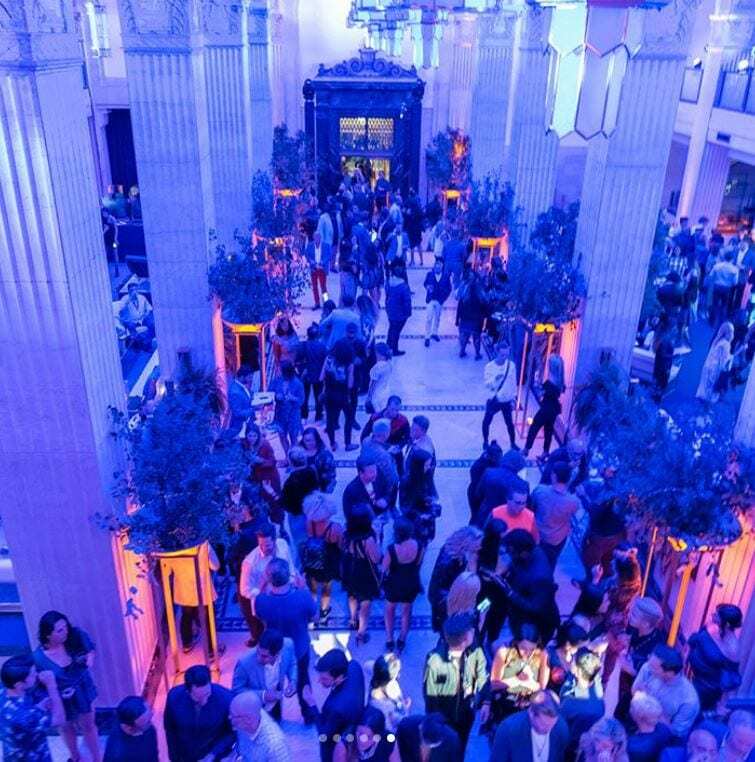 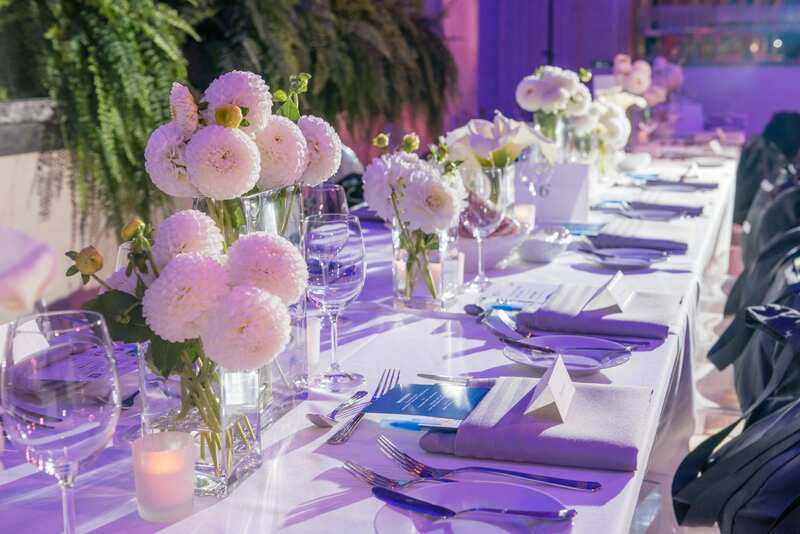 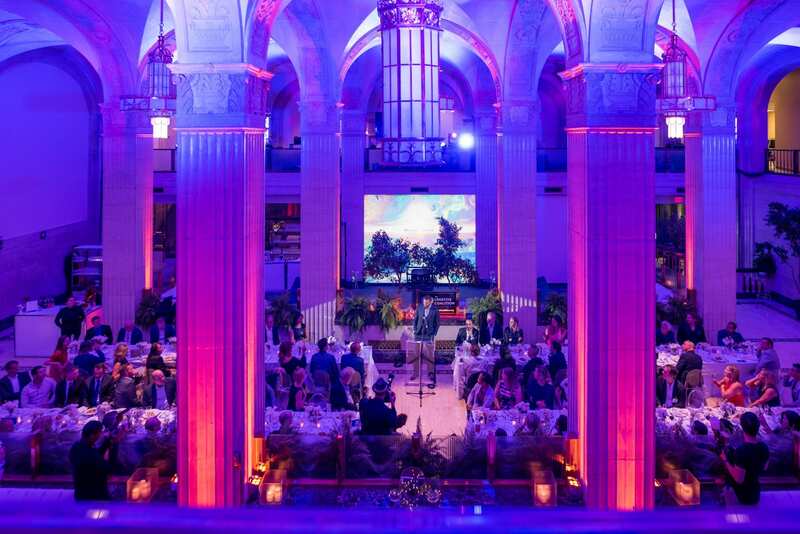 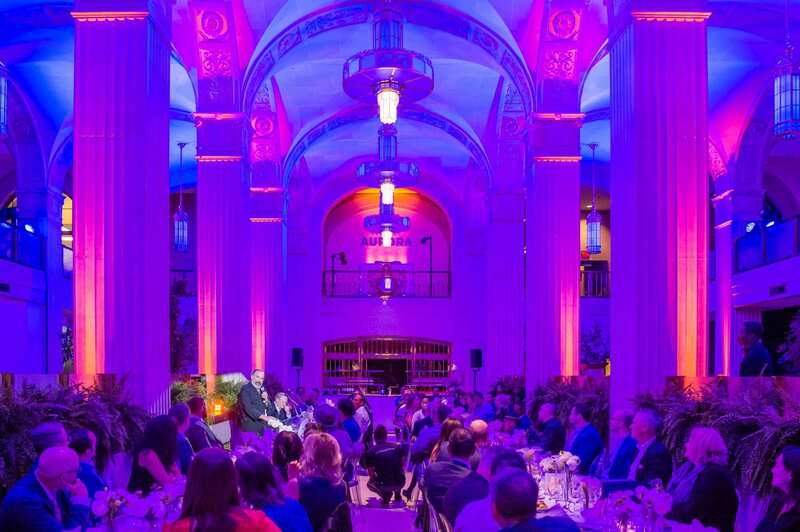 Programming included a series of celebrity media interviews, music performances, an exclusive director’s gala dinner, and a variety of parties that went well into the night!